This is a guest-post in the form of a written interview with Anjum Shahzad – a male cupping therapist based in London, England. My name is Anjum Shahzad and I am a hijamah therapist. I have been practicing this therapy for almost a year now. I was taught and trained by Natural Health Natural Finest CMA regulatory body. I was first introduced to Hijamah by reading a book called Prophetic Medicine by Ibn Jawziyah (RA). However, I came into physical contact with it when I was treated for hairloss. Due to my enthusiasm of the Prophet’s (pbuh) recommendation of this procedure in several hadith I really wanted to make a difference to my community and others by promoting good health & wellbeing. My team includes female practitioners for the sisters. We also perform Ruqiyah services for treatment of black magic, jinns and evil eye. What particular illnesses/ conditions (if any), do you specialize / had the most experience in? I have performed for all kinds of illnesses including, diabetes, hairloss, sciatica, depression, migraines, numbness, colds and flus, stomach indigestion, ulcers, arthritis, back pain, chronic fatigue syndrome and more. I also perform the sunnah points for general well being. I specialise in hair loss. And do you find that in your experience, the conditions/illnesses that you have come across respond well to cupping (hijama) therapy? And if so, what are they? Alhumdulillah Hijamah therapy is great for a wide range of illnesses and it is central to the well being of the immune system, circulatory, and respiratory system. My analogy is the following: Its like getting your car serviced. The engine has its own mechanism of working but regularly the machine needs outside intervention in order for it to carry on working in its optimum condition. This is like the body. Due to our ever increasing hectic lifestyles and intake of preservatives, chemicals in our diet and synthetic drugs (such as paracetamol), there’s more of a build up of pathogens and toxins found in our bloodstream that weaken the organs and accelerate the aging process. The body doesn’t get the best of our nutrients due to the congested blood. So this is where Hijamah helps – it removes these toxins, de-acidifies the blood, causes decongestion and flushes out waste products in the blood and produces “happy” hormones called endorphins making you feel more refreshed and relaxed. Back pain, arthritis, diabetes and hair loss are some of the conditions where patients find great, amazing results from. Due to de-acidification inflammatory illness like sciatica and arthritis find pain relief. Hijamah ideally shouldn’t be performed more than once a month. For general well being I would recommend once every 3-4 months. As a hijama therapist, how often do you get hijama done yourself, and what for (if any specific condition) and who do you go to to get it done (since it is not an easy therapy to self-administer)? I get hijamah done every three months. It is performed by one of my colleagues. I do it to increase and strengthen my immune systems from colds, flu and allergies. Alhumdulillah I have cured my hair loss which I was suffering from for over 15 years (I am now 31) by performing hijamah directly on the scalp. Now I have thicker, stronger hair and do not suffer any loss. Whereabouts is your clinic or practice located? We are based in London. We have practices in the East, South and North of London. We refer patients depending on where they live. We perform home visits as well and can travel nationally. Hijamah is a great therapy to perform as it is a divine instruction and recommendation from our beloved Prophet (pbuh). To perform this is not only good for illnesses and for general well being but it is also a Sunnah and great blessing too. Our thanks to Br Anjum Shahzad from London, England for sharing the above post. If you have any questions for Br Anjum or indeed have been treated by him and want to leave him a testimonial, then please do so via a comment* below. I have started treatment for hairloss, underwent 1 session. The question i would like to ask is that how many sessions it generally takes before the cure of hair loss is quite visible ????? after the first session all part of my head are growing new hairs except the infected part. @ anonymous above, have you seen any improvement on your hair growth since your last post? 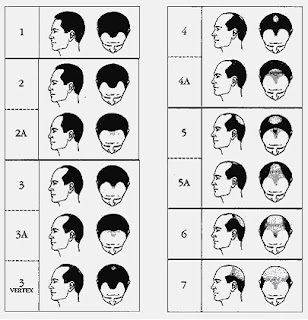 I am planning on starting hijamah treatment for hair loss soon too & would appreciate your input. Thanks.